TOP class pacer Major Crocker has run his last race in Australia. After receiving an offer for the gelding, owner Gary Crocker has sold Major Crocker to American interest. Set to head across the equator tomorrow, the Group One winner will join the stable of leading trainer Rene Allard. “It is a bittersweet moment to see him go,” Crocker said. “But given where he is in his career, racing in America is the better option for him. Runner-up upon debut, Major Crocker quickly made his way through the grades as he competed against the best of his crop. 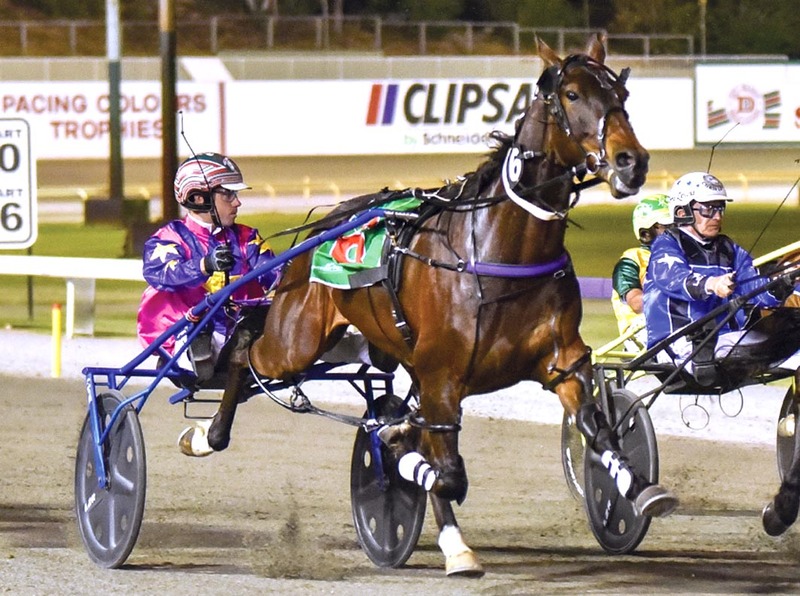 After finishing second in the Vicbred Super Series Final at three, Major Crocker then made a clean sweep of the Southern Cross Series at Globe Derby. Three weeks later he beat the southern hemisphere’s best in the $213,000 Breeders’ Crown Final in Melton. Making an effortless transition to the highest echelon, Major Crocker’s victories include the Inter Dominion Consolation and Paul Fitzpatrick Cup, along with Group One placings in the Victoria Cup, Canadian Club Sprint and two Bohemian Crystal Sprints. One of multiple premiership winning stallion Art Major’s richest Australasian progeny, Major Crocker leaves ‘Down Under’ with 30 wins and 21 placings from 101 starts for earnings of $693,603. “He’s been a wonderful horse to have,” Crocker said. “The Breeders’ Crown remains his biggest win.